Before any glass can be cut for installation, there must be a pattern made to accurately depict the finished size and shape. This sounds like a simple task, but there are some things that must be realized and practiced to reduce waste and problems with installation. There are four types of patterns; trace, measurement, pinchweld and geometrically drawn. The trace is the easiest pattern to make, but it must be done properly. A trace pattern is simply the tracing of an existing piece of glass for duplication. If the glass is in one piece, it can be removed and placed onto a heavy sheet of paper or cardboard and traced to create a template for reproduction. However, the trace must be exact to the outside dimensions of the existing glass for the cutter to accurately cut the glass to fit. 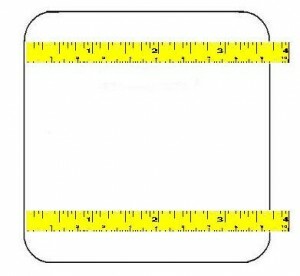 If there is a discrepancy of only a 1/8 inch, it is multiplied on both sides and on the top and the bottom. This change in size will make a difference in how the piece will fit in the opening. 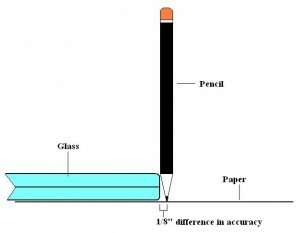 If a typical pen or pencil is used to make your trace, then you must compensate for the thickness of the barrel of the writing instrument which is typically about a 1/8-inch. One method is to angle the pencil or pen to compensate for the barrel thickness or communicate the method of trace to the cutter so adjustments can be made when fabricating. There are special pattern pens that make this compensation for you so accuracy is more exact. What if you are caught with no cardboard or drawing paper? Make measurements and draw radiuses. 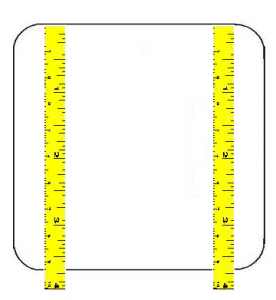 Remove the glass and make measurements vertically and horizontally. Make sure that you check the vertical and horizontal measurements near the top of the part and the bottom and near the far right and far left of the two sides. Some parts have a very subtle angle and checking the measurements at different points will assure proper configuration. Use a small piece of paper to draw the radiuses of the four corners. Don’t forget to mark each radius with its location on the part. Again, there can be slight differences in the radiuses and if you get the wrong radius in any corner the part will not fit. 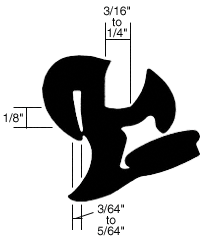 Correct measurements and accurate drawings will give the cutter the information necessary to fabricate a part that fits perfectly. Next week we will discuss pinchweld pattern techniques. In past posts we have discussed that gasket installations are a “lost art” in our industry. Gasket set auto glass parts are going the way of buggy whips and typewriters and only a relative few experienced techs still do them. Now I would like to discuss the second lost art in auto glass, laminated glass cutting for automotive use. Prior to 1949, all auto glass was flat laminated glass that was cut to order for the customer. 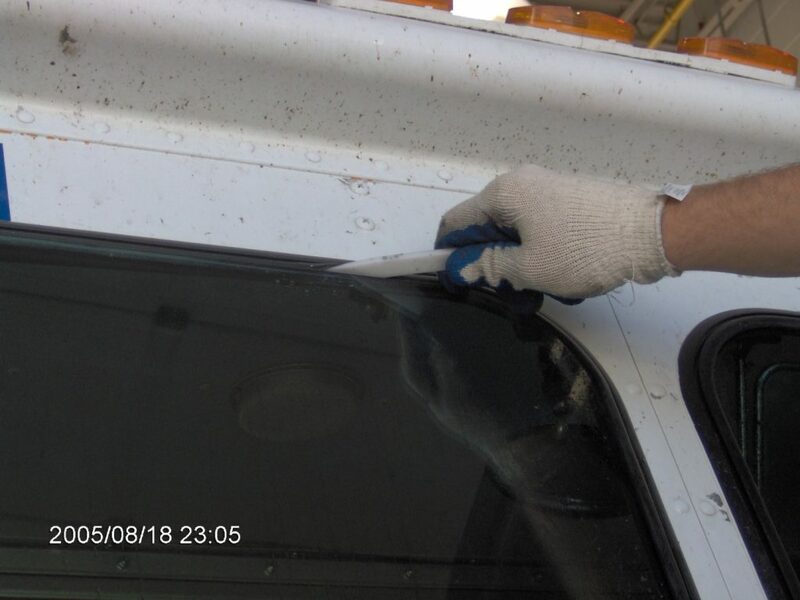 The auto glass professional got the make and model of the vehicle, pulled the NAGS cardboard pattern and cut the glass prior to arrival. Once the vehicle arrived, he would then install the glass in the frame and mount it to the vehicle or insert it into the gasket, job well done. After curved glass was introduced, the auto glass industry changed forever. NAGS stopped producing cardboard patterns and began a new business in publishing. We did not fabricate our own glass but bought it precut and formed. We didn’t price by square foot but by NAGS list price. Yes, change was inevitable. It took years for most flat glass to disappear but disappear it did. Most auto glass now is already pre-cut and ready to install. Very few parts are flat anymore and the art of cutting laminated glass has gone by the wayside. The next few posts I plan to submit are more for posterity than for practically, but there is still a call for the occasional cutting of flat laminated parts. Back in the seventies when I began auto glass installation as a career, I not only learned replacement but I also was taught the three major parts of auto glass fabrication; pattern making, glass cutting and edge finishing. These are the titles of my next few posts. But, before we can get these subjects we need to first explain a little bit about the glass itself. In my early days we had two types of laminated flat glass, sheet and plate. Sheet was considered glass used anywhere but the windshield (AS-2). Plate was used for the windshield (AS-1). Sheet was a little thinner than plate because the lamination was .015 inch or 1.5 millimeters in thickness rather than the .030 inch or 3 millimeters. Laminated glass is a more difficult glass to cut than normal annealed glass because of the lamination. The two glass sides must be cut perfectly and the lamination must be separated or premature fracture is possible. To make matters worse, the auto glass usage demands that the corners have radiuses which pose another cutting difficulty. Doesn’t this sound like fun? It should, because it is. Once this skill is mastered, you will be a sought after professional with talents few possess. Think of all the money you’ll earn fixing and fabricating the glass on all the classic and antique vehicles in your market. Next will be pattern making. Talk to you next week. In my last post we discussed the rope-in installation. That installation is defined by the necessity of removing the glass and the gasket as a one piece assembly. The lip-in gasket installation is the removal of the glass from a gasket which stays on the vehicle’s frame. The lip-in is more problematic due to the method of removal from the reusable gasket weatherstrip and direct contact of the insertion tools to the glass edge during insertion into the gasket. In the last post, we mentioned that all rope-in installations are with “S”-shaped gaskets. The lip-in method can be used with any gasket type, “S” or “H,” as long as the gasket design allows for that method. Some design features include, a locking insert—either black or chrome colored, or a self-locking flap. These locking designs are used to relax the gasket for easy insertion into the glass’ “U” channel of the gasket. Once in place, the locking device is re-tucked or inserted and the glass is solidly installed in the gasket. The tool of choice for lipping the glass into the gasket is the plastic stick, although there are times where a hook tool is utilized to stretch the gasket around the glass edge near a corner. The problem with the use of a hook tool is that the metal to glass contact is possible and that could cause a fracture if care is not taken. It can also tear the gasket or cause damage to the vehicle’s paint if the hook slips. That is why the plastic stick is best for insertion. 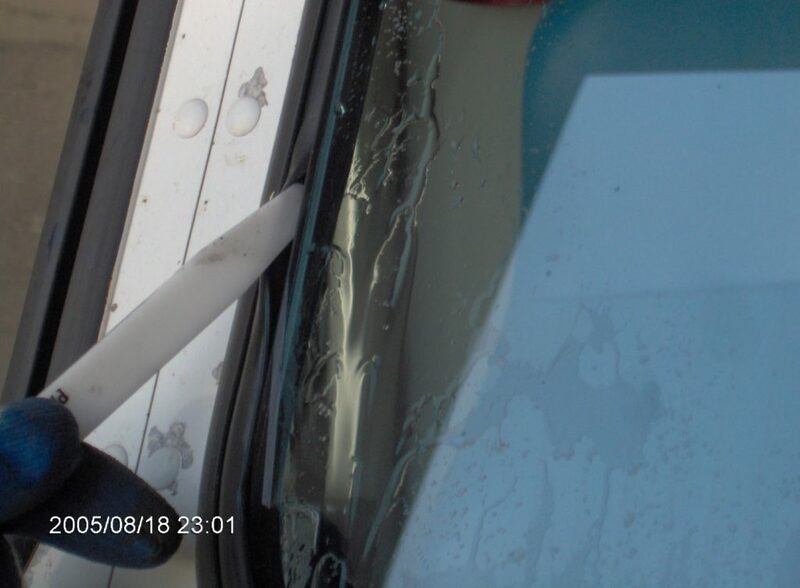 The plastic stick is shaped the way it is because of the gasket set windshields. It is tapered on one side and flat on the other. Just like the cut out blades, the flat side of the stick is to the glass and the tapered side to the gasket. Whether you are pulling the tool towards you or pushing it away, angle the tool backwards, away from the direction of travel. This insures the least amount of drag on the tool and the gasket. It will also help if you lubricate the gasket with water or glass cleaner before beginning the installation process. 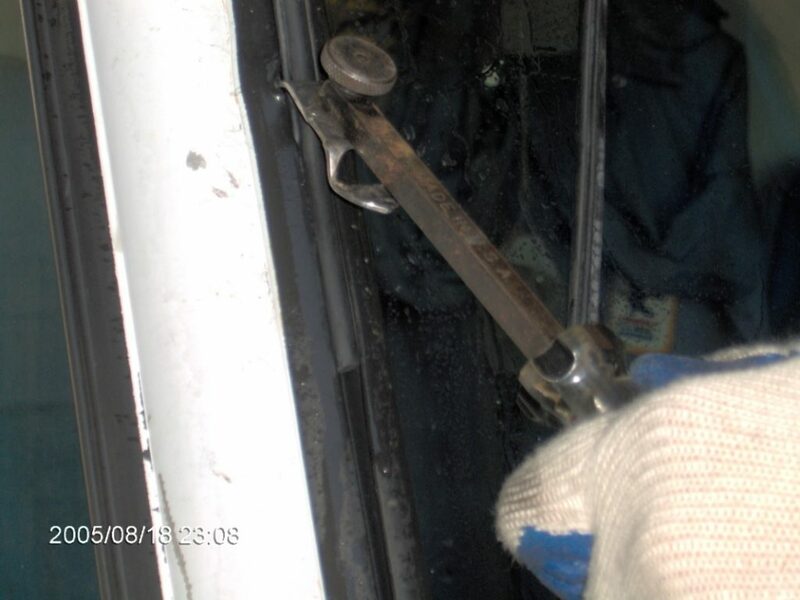 Release or remove the locking device used to lock the glass into place. Break the seal between the glass and the gasket with a hook tool or plastic stick. Repeat on the inside surface. The firmer the plastic stick the better it is for installation. Go to the inside of the cab and using a tool or gloved hand push outward on one of the top corners of the glass until it is free from the gasket. This will take a considerable amount of pressure. Some techs will use their feet to start the removal process and then switch to their hands once the corner is free. If the glass was originally bonded to the gasket with urethane or an adhesive, it may be necessary to use a cold knife with a stubby blade to cut the glass free from the bond. Just insert the blade between the gasket and the glass and cut it free. 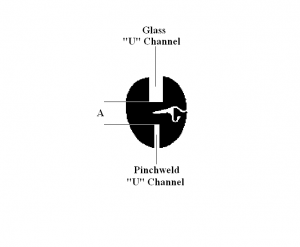 Once the glass is out, clean the glass “U” channel of debris. Lubricate the gasket liberally with water or approved glass cleaner. Place the lower glass edge in the gasket channel and seat it in place. Use a plastic stick to lip the glass into the gasket channel. Work about 4-6 inches at a time. Run the stick back and forth to position the gasket lip to the glass edge. When the gasket lip falls under the glass edge, then pat down the glass slightly to position it deeper into the channel. When patting down the glass use the flat of your hand and never a closed fist or ball of your hand. This concentrates pressure and can cause breakage. Then lip the next 4-6 inches. Continue that pace around the entire glass edge. Do not insert one corner and then the opposite corner. This can cause breakage of the glass. Rather, lip in a continuous fashion around the glass. When all sides are in, the glass will fall into the “U” channel. Wipe away any standing lubricant and dry as much as you can. Seal around the perimeter with the adhesive or sealant required and re-install or engage the locking device. Once sealed, wet down the oozing sealant with water and scrape the excess from the glass with a razor blade. Then take a clean paper towel and make one swipe around the perimeter to wipe clean and dry. The lip-in installation will take more practice than a rope-in method but once mastered, it is a relatively easy install.